These projects are a sampling of work we've created with other artists and musicians to produce, packaging, posters, and books. We worked with Arturo Fresán, an artist and musician who didn't normally produce multiples, to print a series of three posters. They began as small pen and ink drawings that were scanned, output as polymer plates and printed in editions of 60 on a Vandercook press. Wolf Blanket, 12.5" x 19"
Ghost Totem, 12.5" x 19"
An Open Atlas of the Petrocapital, 2017. Custom box and folio created by Amy Leners and Mary Clare Butler in collaboration with Rozalinda Borcila. The box contains a shallow subdivider for pamphlets and zines, an envelope under the lid for small loose sheets, and a typewritten title and colophon on the box exterior. The folio opens to a large compartment to house large maps and atlases. The typewritten colophon is placed on the inside flap. An Open Atlas of the Petrocapital is an archive of printed materials and objects that document a series of walks/workshops entitled Daytripping the Petrocapital. The walks explore how petroleum and finance are shaping notions of democracy, community and participation. The project explores alternatives “from below” by focusing on indigenous histories and knowledge, and by organizing experimental "people’s field trips" to some key sites in the infrastructure of petroleum and finance. The Atlas—a collection of pamphlets, maps, drawings and coloring book pages―will remain at the library for the public to use. Readers are invited to contribute their own materials and thus grow and reshape the archive to reflect local knowledges, struggles and interventions. Waterways before Chicago is a silkscreen print of the waterways and subcontinental divide before colonial occupation. Voted the fanciest punk 7" of 2016. 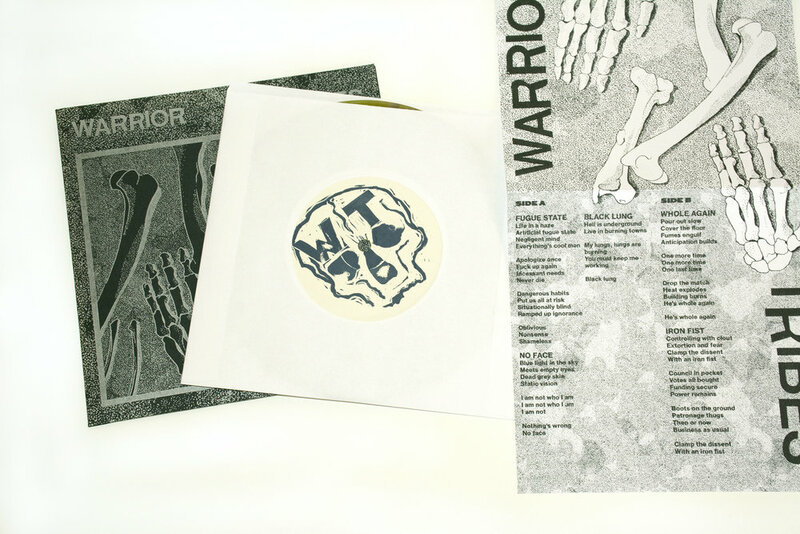 We printed and assembled 300 record sleeves for Warrior Tribes. 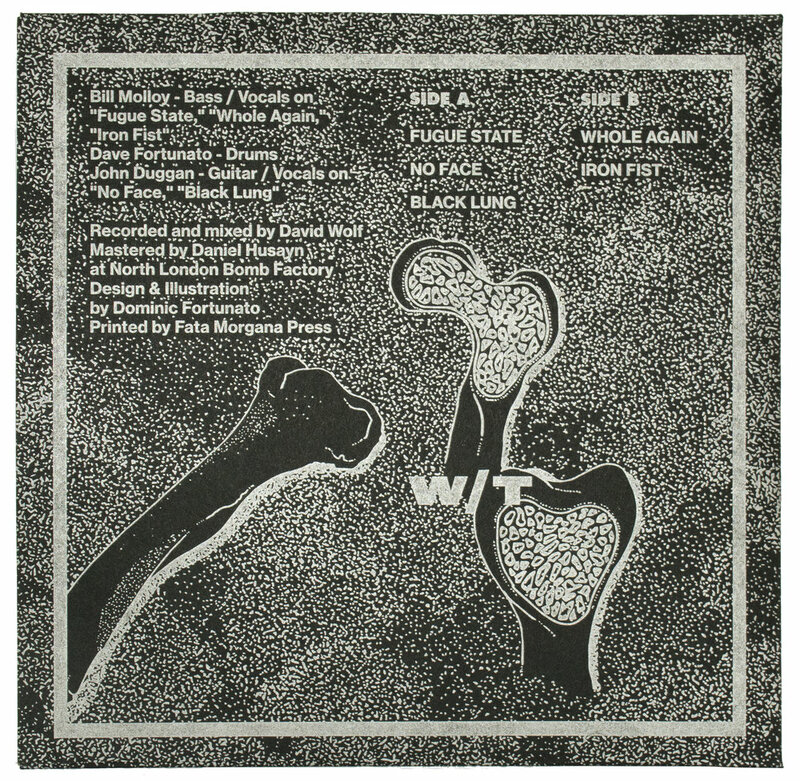 We made a polymer plate from cover art illustrated by Dominic Fortunato of Soft City Printing. 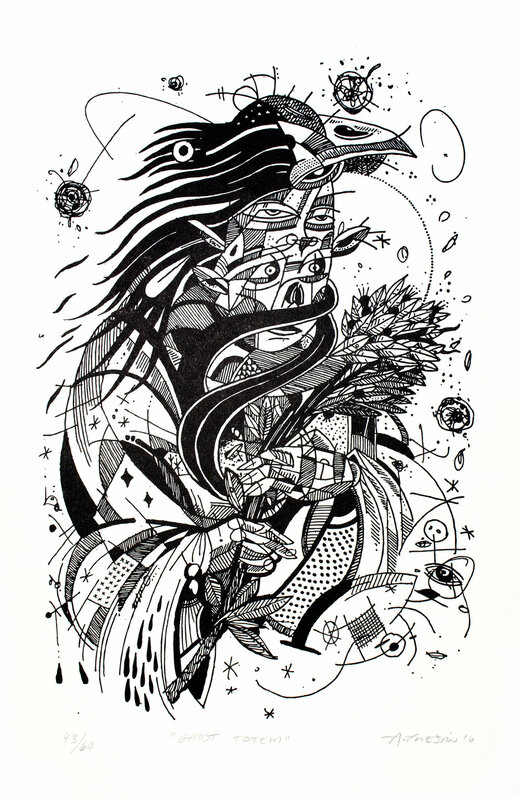 The first 80 are printed with silver ink on black French paper; the rest are black on kraft. Each record was hand stamped and includes a riso printed insert. You can buy the record here.